Printable play dough mat from 123 Homeschool for Me – thank you! He went straight for the Lauri pegs; he hadn’t gotten those out for a while. After putting the pegs in the holes he decided the truck should ‘ride’ the cat! He also enjoyed the white boards a lot. I’m excited for the next set as it is our first theme! 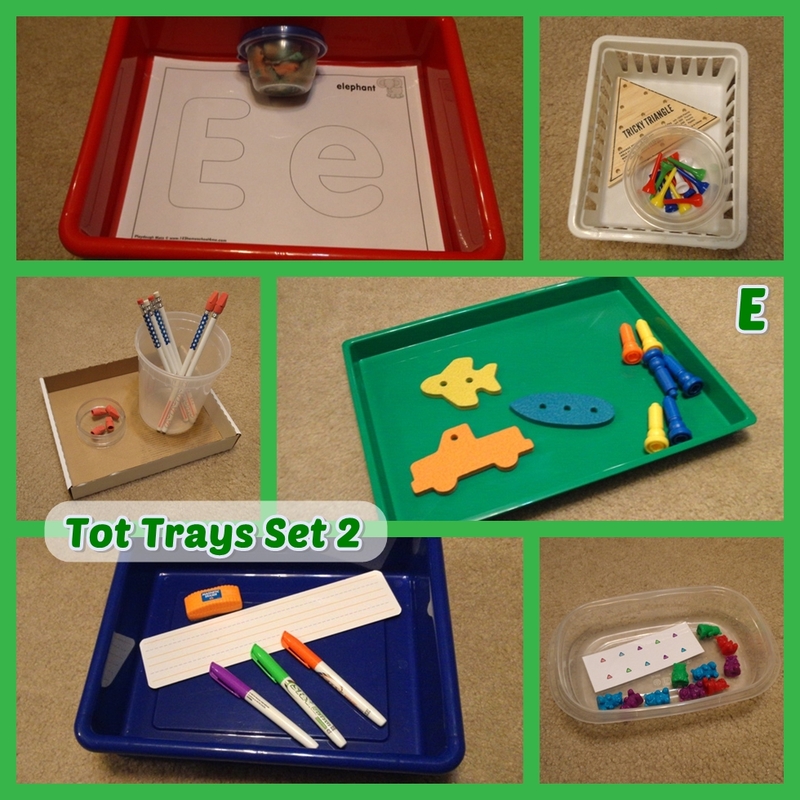 This entry was posted in Tot School, Tot Tray Themes, Trays and tagged counting bears, fine motor skills, play dough, printables. Bookmark the permalink.